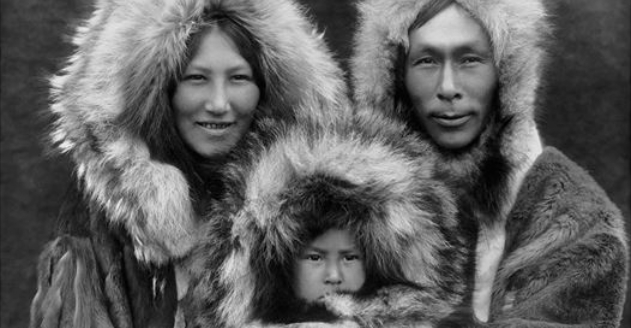 A study of the mitochondrial DNA of modern-day Iñupiat people suggests that all of the Iñupiat and Inuit populations from Alaska, Canada, and Greenland came from the Alaskan North Slope. Mitochondrial DNA is passed from mother to child, with few changes from generation to generation. All of the mitochondrial DNA haplogroups that have been found in the remains of Neo- and Paleo-Inuit and living Inuit peoples were found among the people from the North Slope villages, including the haplogroup of Paleo-Inuits, which until this study had only been detected in their ancient remains. The haplogroup of the Neo-Inuits, thought to have replaced the Paleo-Inuits, was also detected. “We think the presence of these two haplotypes in villages of the North Slope means that the Paleo-Inuits and the Neo-Inuits were both ancestors of the contemporary Iñupiat people,” Jennifer A. Raff of Northwestern University said in a press release. A third haplogroup, typically seen in Native Americans living further south, may have been carried by the first people to enter the Americas. It could also have entered the peoples of the North Slope through recent marriages between Athapascan and Iñupiat families, or ancient contact between the two groups. “We found that there were many lineages shared between villages along the coast, suggesting that women traveled frequently between these communities. In fact, when we compared the genetic composition of all the communities in the North Slope, we found that they were all so closely related that they could be considered one single population. This fits well with what the elders and other community members told us about Iñupiat history,” added Northwestern’s M. Geoffrey Hayes. Future studies will examine the genetic markers on the male Y-chromosome. Responses to "DNA Links Modern Arctic Villages to Prehistory"